On another sodden Sunday, Bexhill United pulled off a surprise derby win, Buckland Athletic continued their perfect form, Wigan Athletic held the North West leaders and a lower division cup tie finished 7-7. PREMIER – Acle United rose two places to third with a narrow 2-1 victory over winless Colney Heath. Laura Holden and Megan Todd netted for United, Nikki Hollick replied by the break and there was nearly an equaliser but the hosts cleared an over-hit back-pass off their own line. 1 NORTH – Wymondham Town are eight points off leaders Kings Lynn Town with three games still in hand, having beaten Cambridge United Reserves 4-0. Laura Nicholls bagged a brace, Mollie O’Callaghan and Kayleigh Holloway one apiece. PREMIER – Fourth-placed Carshalton Athletic held second in the table AFC Phoenix to a 1-1 draw, which cut Crawley Wasps lead to five points. Breeze Carmichael gave the Robins a half-time advantage but that was wiped out by the away side. Fulham recorded a third win of the season with the only goal of the game at home to Eastbourne Town. 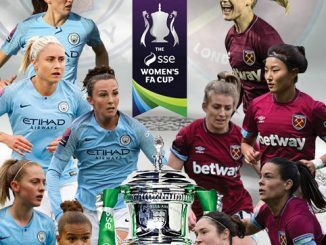 GREATER LONDON PREMIER – It’s still very much a two-horse race for the title, after the leading pair won away from home in the only games played. 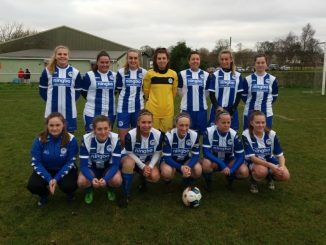 Queens Park Rangers Development kept top spot with a 3-1 result at Colne Valley, Erin Pope scoring in each half and Rhian O’Hare on target in-between, while Nikki Saunders got the home side’s goal. Whyteleafe came away from third-placed Hackney as 2-0 victors, Katie Kingshott scoring twice in the opening dozen minutes, including one from a free kick. 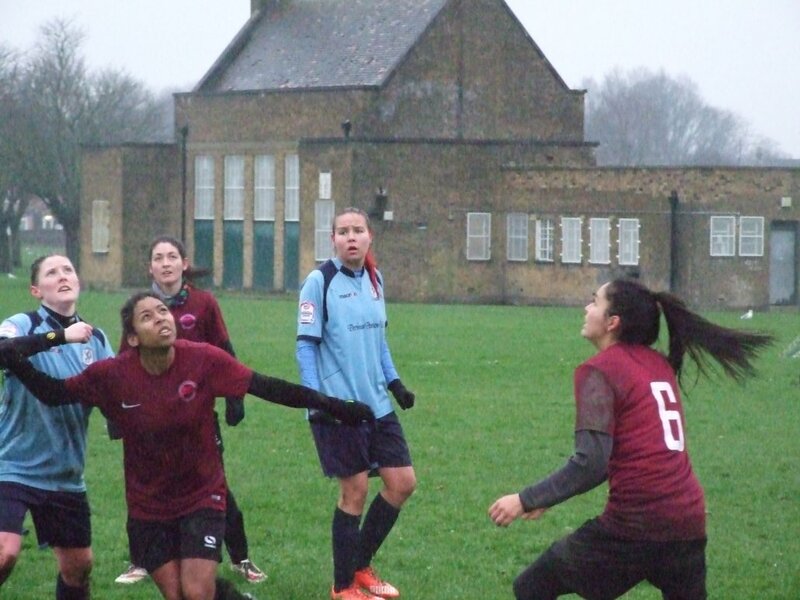 GLWFL TROPHY 2ND ROUND – London Academicals won 3-1 at Enfield Town Reserves, with Laura Avila Egido, Sophie Britton and Jade Harewood their scorers. 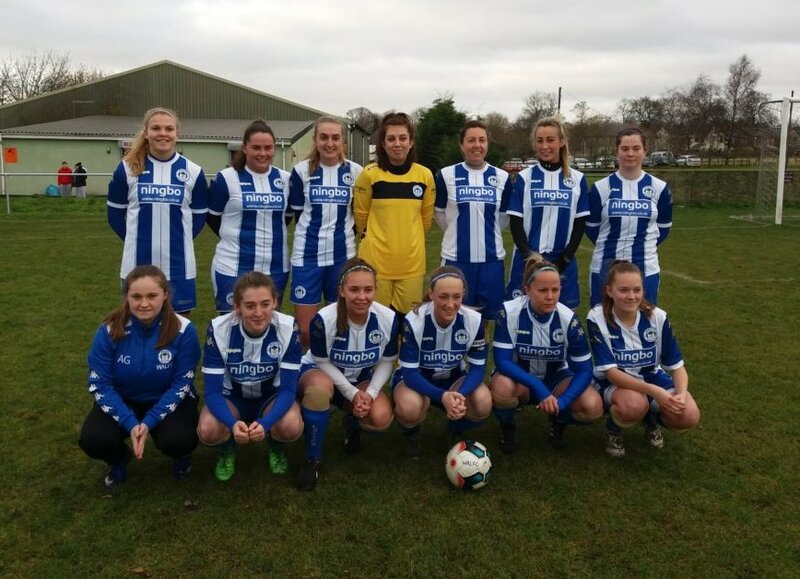 SOUTH EAST COUNTIES PREMIER – Bexhill United won for only the second time in the campaign and it came against near neighbours Eastbourne Ladies. Megan Keen’s effort proved enough to defeat the third-placed visitors. 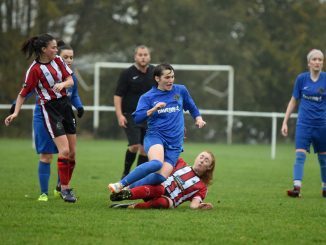 KENT DIVISIONAL CUP – Sevenoaks Town are in the top two of Group B after an amazing 7-7 tie with Ashford Angels, in which Siobhan Azzopardi and Maddie Smith both notched hat-tricks for the home side. PREMIER – Top of the table Stockport County have a five-point lead over Tranmere Rovers with two games in hand, after being held 1-1 at home by Wigan Athletic. The Latics levelled midway through the second half when Megan Hornby’s shot hit the post and Ashley Taylor put away the rebound but they were denied a late winner by the crossbar. Fleetwood Town Wrens were unable to make up any ground, letting slip a 2-0 lead at Sir Tom Finney to finish at 2-2. Lauren Oatley scored on her Wrens debut and Emily Crook claimed her first league goal, before Sam Ball buried two free kicks for STF. 1 NORTH – Penrith drew 0-0 at Workington Reds to go ten points ahead of Cammell Laird, who have played four games less. Morecambe Reserves moved into the top half with two unanswered goals at Kendal Town. PREMIER – Oxford City are just two points short of third in the league Newbury with five games in hand, after they sent their visitors from Berkshire to a 3-0 defeat. JUBILEE CUP – Alton Town and Winchester City Flyers Reserves shared the points in a 1-1 draw, which put the hosts top of the Group B table and got the away team off the mark. PREMIER – Buckland Athletic have now won all the opening seven games, following a 3-0 scoreline over Exeter City. 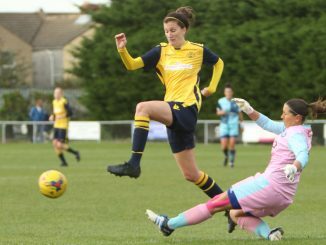 Hayley Chamberlain, Amber Coates and Carla Staddon all struck before the interval, to put their team within three points of leaders Torquay United and still with a couple of games in hand.